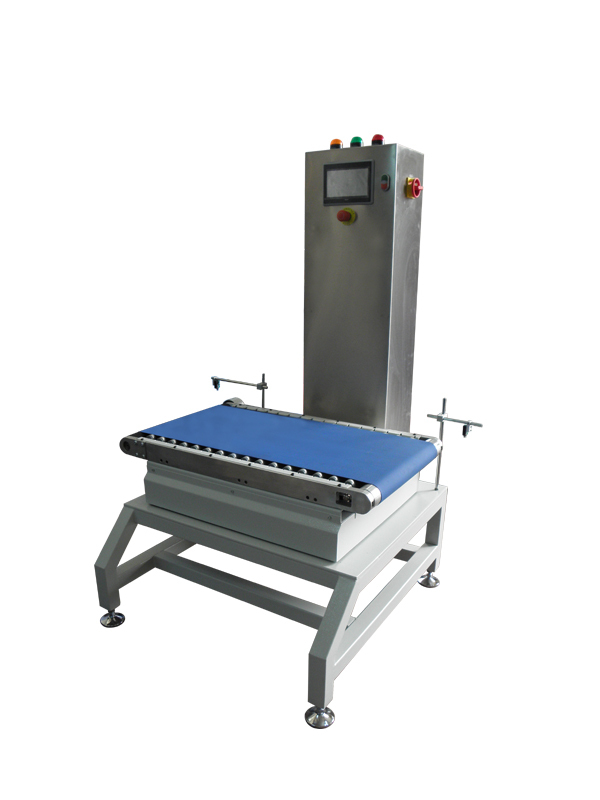 PCW-3, is a checkweigher model 100% engineered and developed in Turkey by Puls R & D Team for checkweighing of big sized packages that requires high accuracy. In particular, it performs the checking of packets with big sizes and packages. By means of the weighing process, missing or overload pieces are determined. PCW-3 has 2 reject options. First one is pushing by a pneumatical piston.This method is not preferential because falling of big and heavy packets may be giving damage to packages. The other one is rejection with a seperation/falling conveyor. In this method the rejection conveyor is moving downwards so that packet is sliding down. As the measurement values are continously recorded, data can be succesfully used for reporting purposes. 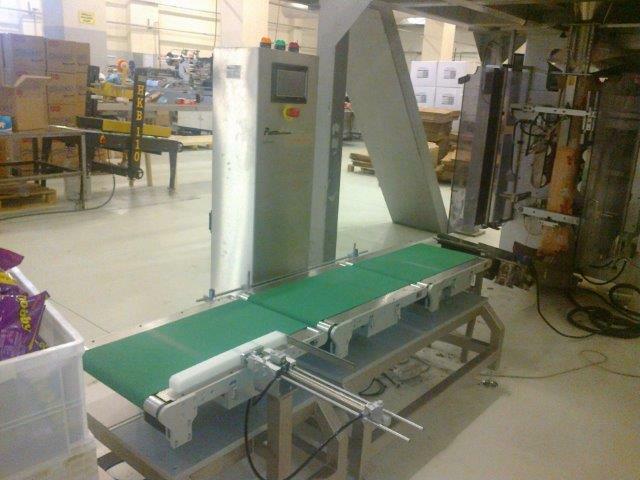 PCS-2 model is generally offered for the weighing of bigger sized items. 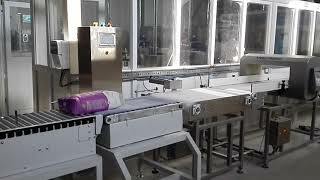 Therefore it is generally manufactured in 2 conveyors (Infeed-Weighing). 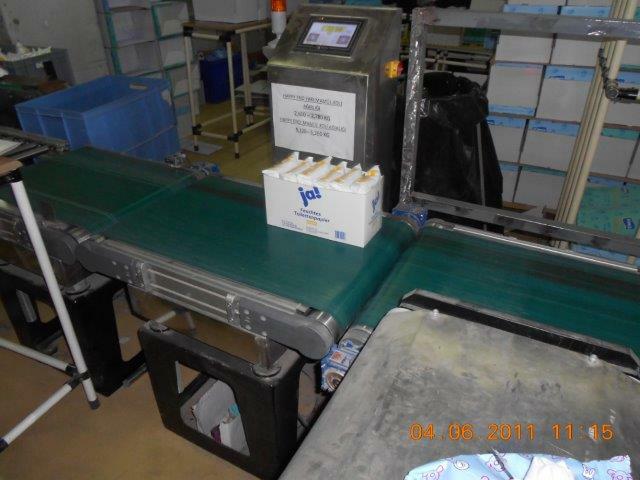 Reason for this is that packets with bigger size does not need to be quickly moved on the conveyor. Accordingly there is no need for an extra speed adjustment. 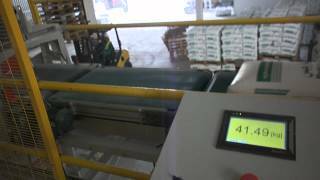 This will mean that production conveyor can be used itself as infeed conveyor. Thanks to its quick set up and easy interface, It is an ideal checkweigher for the departments responsible from quality and manufacturing reportings. Common usage areas include: Chemical (Cement, Structural Cemicals, PCV, PP). Weighing Range is 6-60 Kg. Note: If you have an application out of the ranges specified in the catalogue values, please contact us. Products are 100% our own design and manufacturing. Accordingly, for special applications, we offer customized designs. : Weighing Range 0 to 60 kg.